Some sun in the morning with increasing clouds during the afternoon. A stray shower or thunderstorm is possible. High 79F. Winds SW at 5 to 10 mph.. Scattered thunderstorms in the evening. Cloudy skies overnight. Low 53F. Winds W at 5 to 10 mph. Chance of rain 50%. Police are investigating a hit-and-run crash that happened in the roundabout on West Lisburn Road at Grantham Road about 2:45 p.m. April 14. Police said a tan SUV with a Pennsylvania registration had rear-ended a vehicle and then continued on West Lisburn Road toward Route 15. The unknown operator was described as a younger, white woman. Police seek information. Police are investigating the theft of a checkbook on Holly Road, Rye Township, that was reported at 6:09 p.m. April 12. A Newport man was transported to Geisinger Holy Spirit Hospital after a one-vehicle crash on Veterans Way, Saville Township, at 3:35 p.m. April 11. Police said Clinton S. Hile, 40, was driving a 1994 Ford Ranger north on Veterans Way when his vehicle left the road, hit a traffic sign, crossed the road and hit a fence on the left side of the road. His vehicle then continued traveling off the road and hit a tree. Hile was not wearing his seat belt and was injured. He was cited for failure to drive on roadways laned for travel. Someone in a silver pickup stopped outside a residence in the 1300 block of Bucks Valley Road and struck a mailbox with an unknown object at 12:27 p.m. April 7. Marilyn Kresge, 39, of Newport, and Kelly A. Perry, 41, of Carlisle, were charged on April 12 with misdemeanor bad checks in separate incidents involving the delivery of 100 gallons of heating oil to homes. Marstellar Oil delivered the heating oil to Kresge in December 2017, and it delivered oil to Perry in December 2018, and neither of their accounts had sufficient funds to cover the checks. Police reported April 15 that David Michael Everly, 50, of Mifflin, was charged with DUI, theft by unlawful taking and summary traffic offenses, as well as restrictions on alcoholic beverages, in relation to a March 31 traffic stop at 1:58 a.m. on Route 22/322 in Greenwood Township. Police said Everly was found to be under the influence of alcohol and in possession of stolen items. Tacoy Baskerville, 35, of Newport, on April 12 waived charges of simple assault and harassment to higher court. The charges stem from an April 3 domestic incident at Canvasback Drive, Oliver Township. 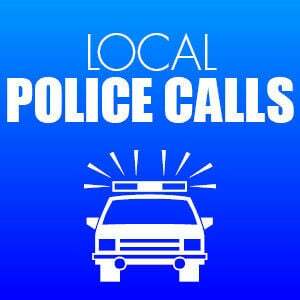 Police are investigating the theft of a mobile phone from Greenwood High School at 12:23 p.m. April 8. Cash and change was taken from a residence on Newport Road, Miller Township. The theft was reported at 10:30 a.m. April 1, police said April 15. Information is from police reports and may be incomplete depending on the status of an investigation. Phone numbers are nonemergency.